Shopping for insurance is not a fun process. Obamacare made it easier, but there’s still a lot to figure out–things like what combination of premiums, co-pays, deductibles, and coinsurance is best; whether your doctor is in-network; and what specific drugs are covered, to name just a few. So for part two of our series on improving Obamacare we’ll look at why it’s so important to shop around, and possible fixes to these potential premium spikes. When we say your premium could spike, we’re not talking about sticker price. That might go up, but for most people it will only increase slightly. One recent analysis found weighted average premiums (that’s the average premium, but weighted so that plans with more customers count more heavily) increasing just 7.5% next year– and in some states it’s actually decreasing. Let’s say your income is at about 150 percent of the poverty line—roughly $17,000 per year. The law says you don’t have to pay more than 4 percent of your income for the benchmark plan in your area. You chose that plan this year, and you’re getting a pretty generous subsidy. Your plan wants to raise its rates by 5 percent next year—not great, but not the end of the world when you’re only paying about $50 per month out of your pocket. You like the plan, the premium increase doesn’t seem like a lot, and HealthCare.gov was a headache last time, so you just auto-renew. 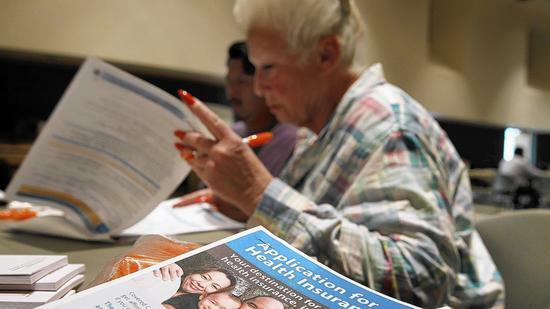 Unbeknownst to you, though, new insurers have started offering cheaper plans in your area. Your plan is no longer the benchmark plan; a cheaper one is. So now your subsidy is based on the cost of that plan, not the one you have. This means you’re on the hook not only for every dollar of your plan’s 5 percent premium increase, but also for every dollar of the difference in price between your plan and the new benchmark plan. These technical changes in subsidies could turn a 5 percent premium increase into a spike of 30 to 100 percent in the net costs for low-income consumers, according to a recent Milliam analysis. And remember, it’s not just those who bought benchmark silver plans this year who have to worry. Wherever there’s a cheaper benchmark next year, everyone’s subsidies will decrease, since they’re all tied to that plan. Another important point from the article– you may not know your subsidy is changing if you don’t log back onto healthcare.gov (or your state’s exchange) and ask for a redetermination of your subsidy. If you auto-renew, you’ll get the same subsidy you got last year, even though it’s probably wrong. The IRS probably won’t figure out the correct amount until you file next year’s taxes– if the subsidy you received from auto-enrolling was too large, you could owe a ton of money. The easiest way to avoid paying more in premiums next year is to shop around on your state’s exchange. In the example Baker gives, if you just switch to the new benchmark plan, your premium would be exactly the same as it was before (assuming your income didn’t change). Still though, shopping for a new plan is a hassle; and since many plans on the exchanges have narrow provider networks, switching plans could mean switching doctors. One possible solution, suggests The New Republic’s Brian Beutler, would be a public option. Rather than tying subsidies to the second-cheapest silver plan, which could change from year-to-year, they could be tied to the public option instead. For people who chose that plan, premiums would be stable and they wouldn’t have to worry about possibly having to switch to plans with new doctors and new out-of-pocket costs. Without a public option (and it seems unlikely we’ll see one any time soon), there’s really no way to get around the shifting price problem without shopping around. One thing the government could do more easily than passing a public option, would be to shift the open enrollment to a time of year where it’s easier to make good insurance decisions. Right now open enrollment runs from November 15 to February 15– right around the holidays, which is probably the worst possible time for people to make big financial decisions. An article published in the journal Health Affairs suggests switching the open enrollment period to Feb. 15 through April 15: people would have more “psychological bandwidth” to make good decisions, they’d have a better idea of their subsidies since they’d be filing their taxes, and tax preparers could help with enrollment applications. It’s probably too late to change for 2015, but hopefully it’s something the White House will look into for 2016. Next post: What does it mean that 7.3 million are enrolled in Obamacare plans? Depends where you get your news.